Today BC Whale Tours sent me this picture that was taken from their boat while out on an excursion. The cool thing is that it was on Discovery Island which is just off the shores of Eastern Victoria (Oak Bay). 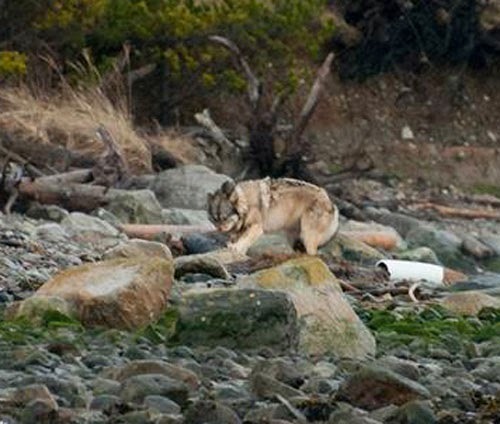 The Wolf was dining on a Seal pup. Life goes on in the wild. Enjoy the photo and thanks to BC Whale Tours for circulating it.